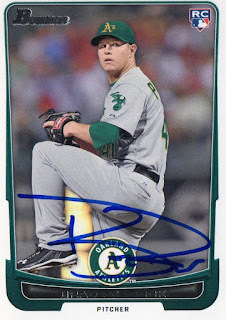 Peacock was part of the Houston Astros World Series team this past year and while he didn't pitch well in his outings during the American League Division and Championship Series - he appeared in 4 games during the World Series and struck out 8 batters while allowed 2 runs in 7 innings. During a stop at Target, I was looking through the usual Topps factory sets on the shelves and got one with the 1997 Topps Derek Jeter reprint relic card with a pinstripe swatch - I bought a factory set last year at Walmart because it had a Mike Trout stamp card and now Topps got me again with this impulsive purchase. I was hoping to find a reprint of Jeter's 1993 Topps card, but the 1997 Topps card has a nice image - though these factory set may be mass produced to a point where they aren't going to be hard to find, these could be something to put away because of the Jeter factor. 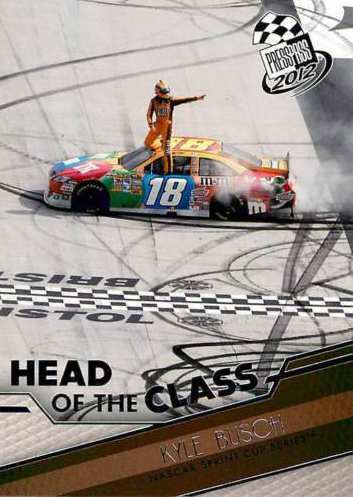 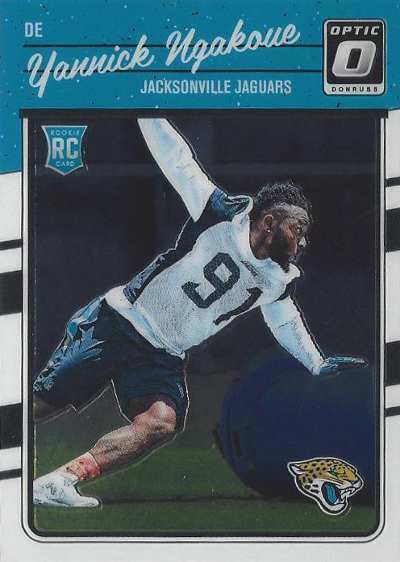 FWIW, I might have seen something on Twitter about the factory set cards being marked ‘complete set' on the backs to differentiate itself from the regular cards - if I wanted to pick up a complete factory set, I wouldn't want a completely different set over the cards I'd pull out out of packs. 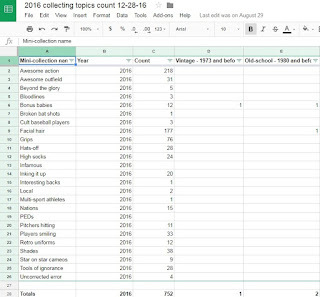 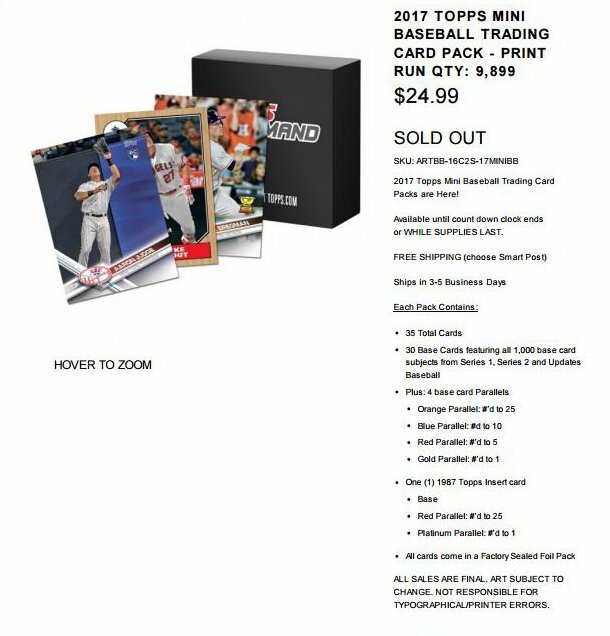 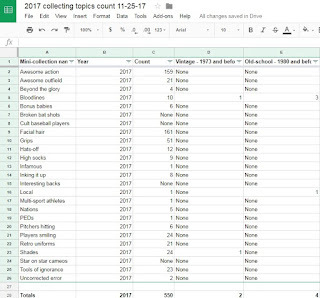 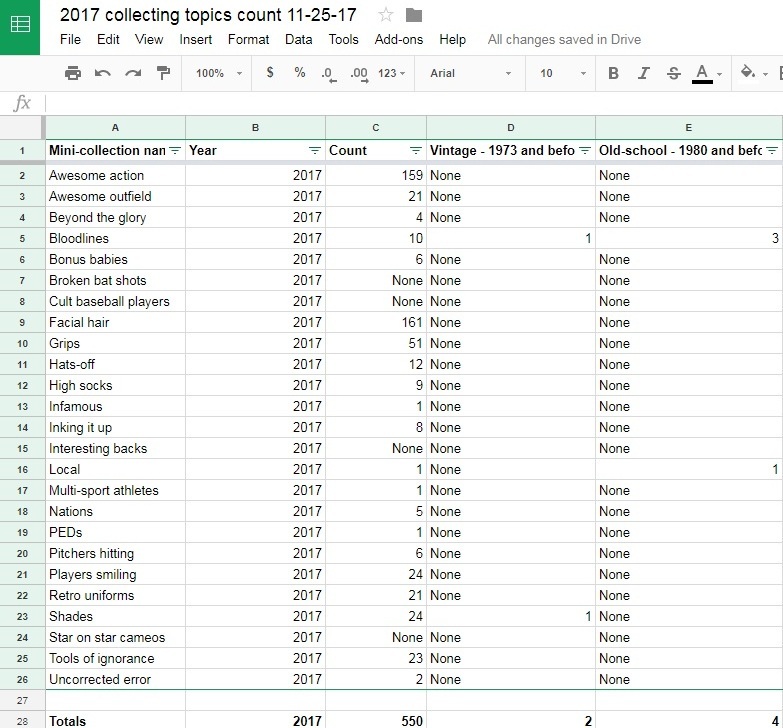 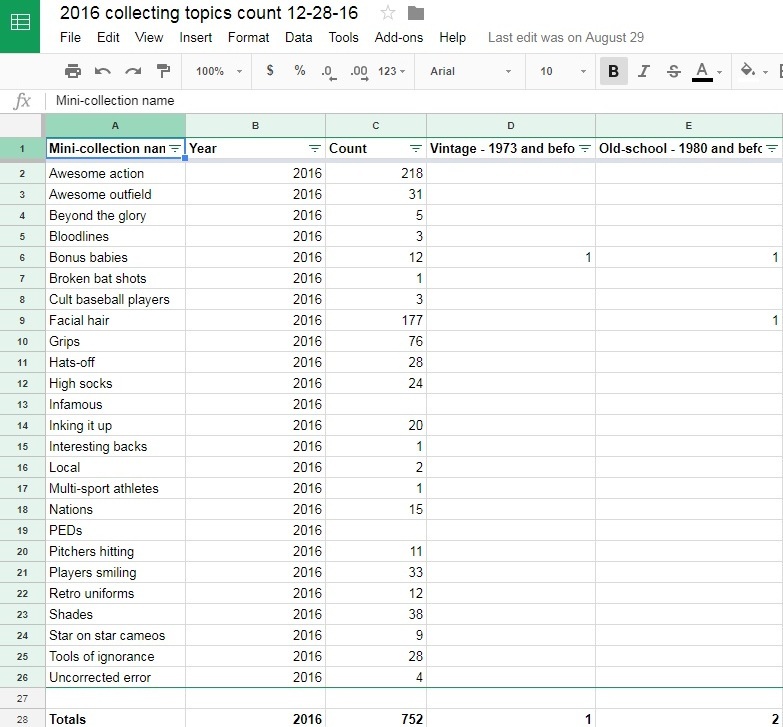 I didn’t know if the marking was indeed something Topps had started doing, but after finding this thread on the Trading Card Database - I see, it’s just the 5-card rookie image variations that are designated and not the 700 cards from the base set. 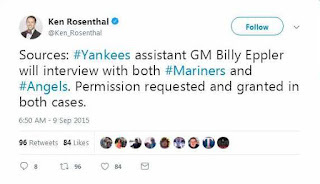 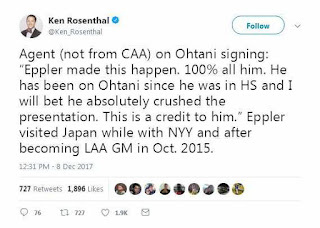 Designated for assignment by the Philadelphia Phillies, Appel seems destined to be a first round pick who maybe a failed prospect - still, as I see Appel as a baseball player who may not reach the big leagues, I'll always look at this clip as something to digest and really think about. There is usually some excitement as far as adding another set of cards to my binder to celebrate the most prominent individual player accomplishments - even if there were no particular surprises among the guys who won and I don’t have fancy cards [something shiny like a parallel and/or autographed] to show off. 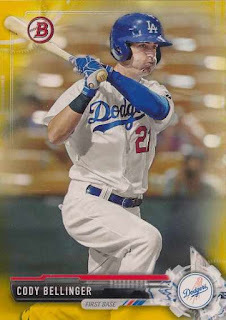 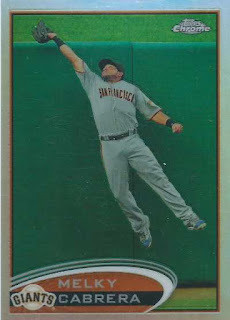 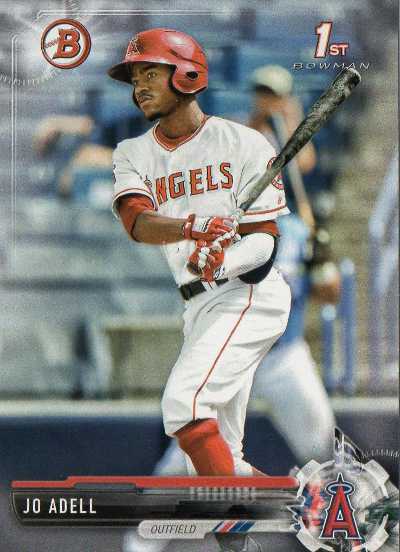 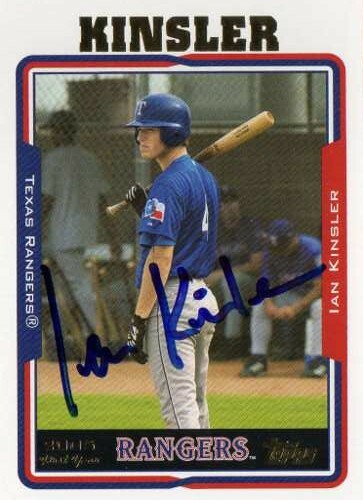 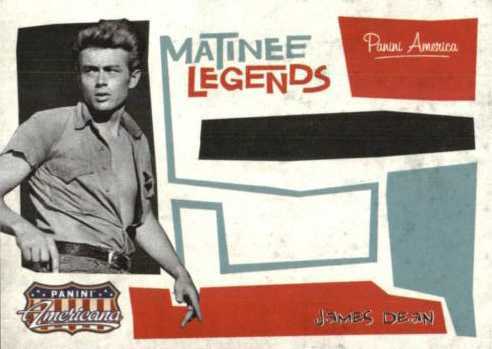 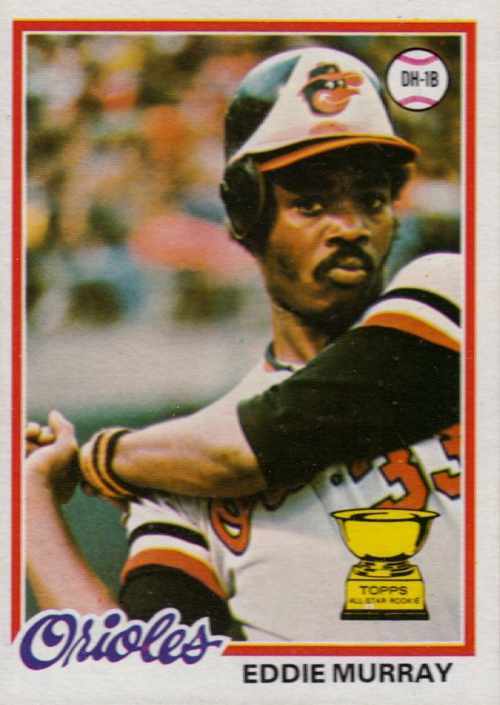 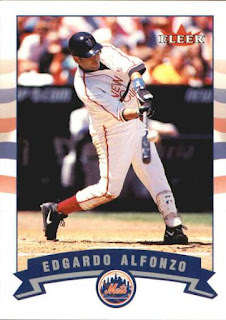 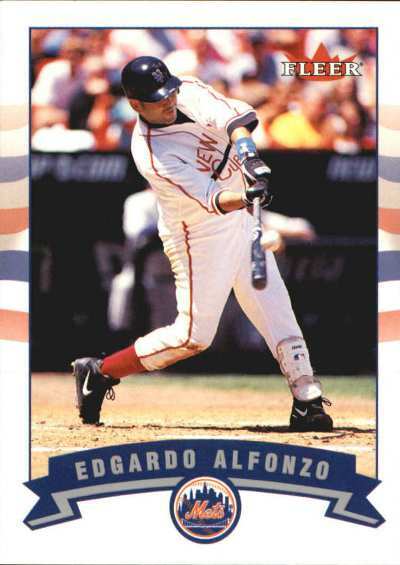 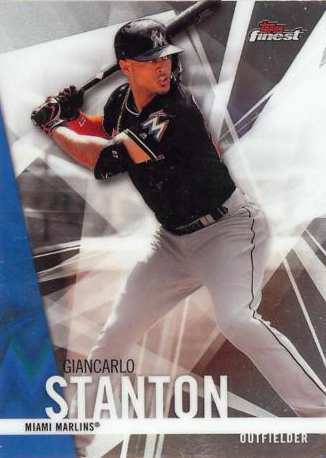 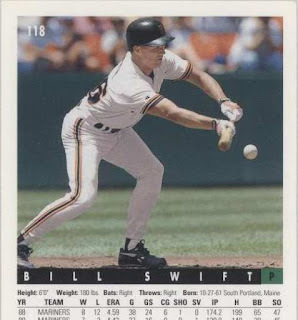 Maybe something like a Topps Now card would be nice and relevant, but I stick with random base / inserts I may find since I have my share of them - knock on wood, maybe I'll try to look for more jazzy cards in future years. 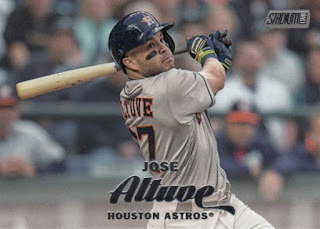 For my MVP collection, I went with a 2017 Topps Stadium Club Jose Altuve #116 [American League] and a 2017 Topps Finest Giancarlo Stanton [#29] - the Altuve is a horizontal card and while I sort of want my cards arranged vertically on a nine-pocket page, my award winners collection is kind of made of a claptrap of assorted cards anyway, so I'm not going to be a stickler. 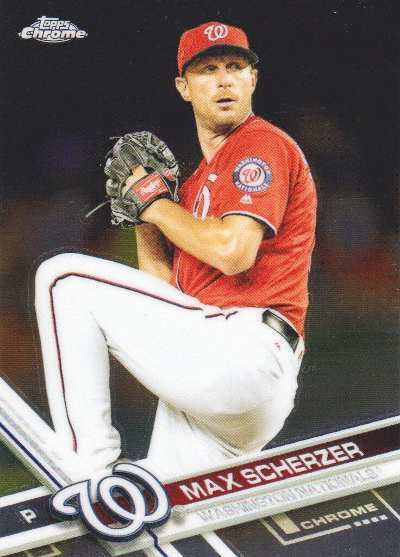 In my Cy Young collection, I dug out a 2017 Topps Chrome [#159] of National League winner Max Scherzer - it’s a current year card that's moderately shiny, so it might as well be the card for him. 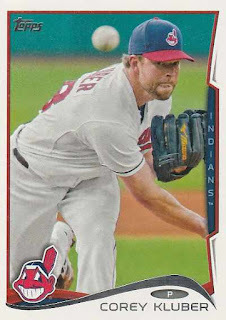 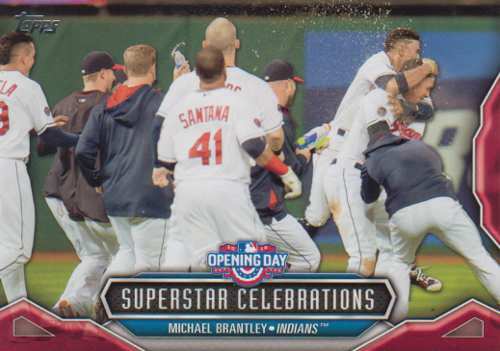 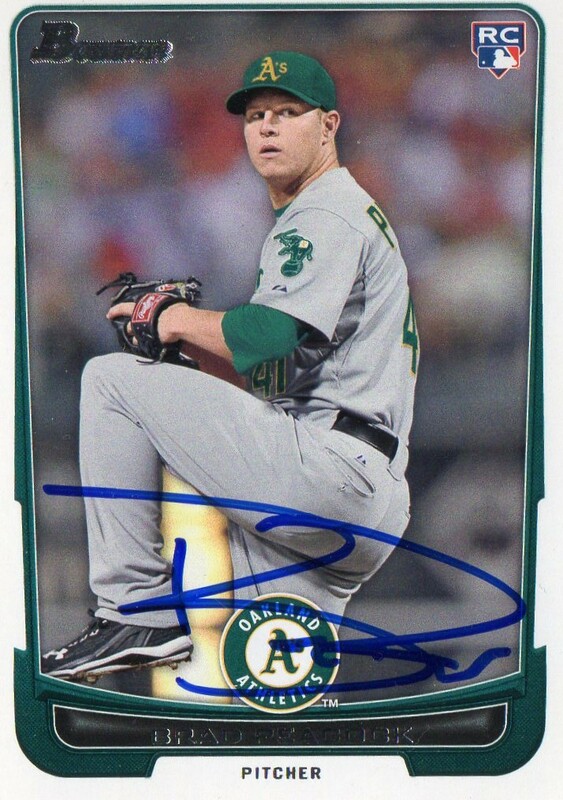 For American League winner Corey Kluber, I just went with a second card [2014 Topps #279] I’d stored in the same pocket where I had his 2015 Topps Chrome Sepia parallel [#79] for winning the Cy Young four years ago - it’s kind of a boring card but it serves its purpose. In my Rookie of the Year collection, I’d already put away a card for Aaron Judge [American League] and Cody Bellinger [National League] sometime during the regular season - I went with a 2017 Bowman rookie card for Judge [#32] and a 2017 Bowman yellow parallel prospect card [#BP149] for Bellinger. 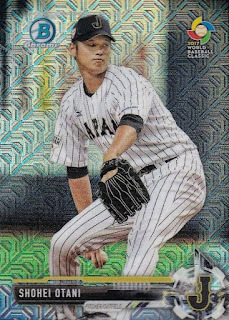 It wasn't recently, but when I finally saw them for the first time, I bought the six Bowman Mega Boxes I found at Target - I went through four boxes and pulled Ohtani's first English card, even though it's sort of a 'phantom' issue since the 23-year old never played for Japan in the World Baseball Classic. 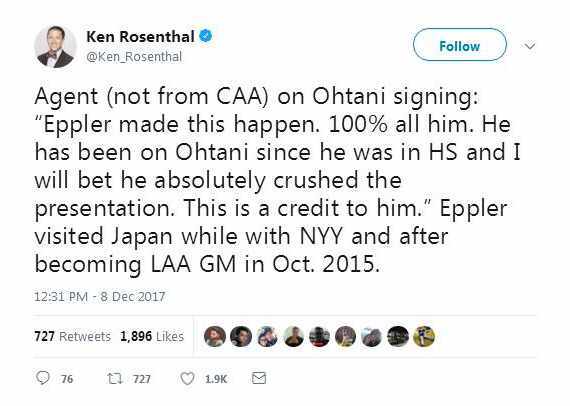 The biggest story this off-season is which MLB team Ohtani sign with once he gets officially posted by his Japanese team, the Hokkaido Nippon-Ham Fighters - I've heard about him for at least a couple of years and with his ability to pitch and swing the bat, he has the potential to make the most impact out of all the baseball imports from Japan in the last 25 years. 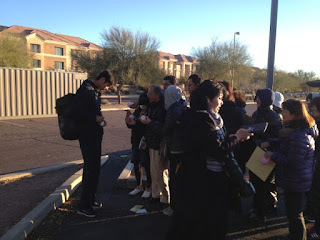 I took a picture of Ohtani signing autographs and taking pictures early in the morning a couple of years ago - when he was in Peoria Arizona for his team's spring training workouts. 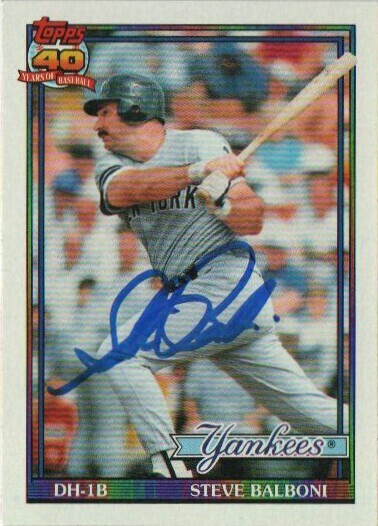 Balboni signed and returned my card in about three months or so - his big league career was winding down the time I started watching baseball, but I'm vaguely familiar with the lumbering, all-or-nothing slugger through his random junk wax era baseball cards. 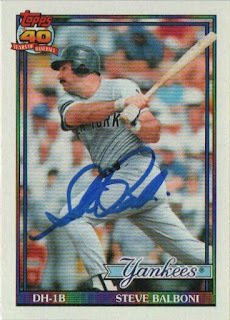 Balboni's Kansas City royals record for home runs hit in a season  was surpassed by Mike Moustakas - who ended up hitting 38 in 2017. I'm not really sure where these three might fit into my collections but during a card shop trip, I snapped them up - just to add some quirkiness to whatever stash I'd built up. 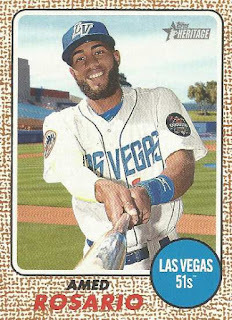 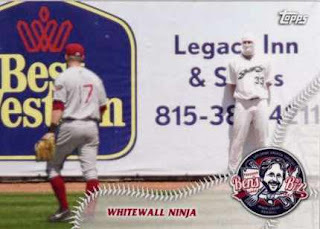 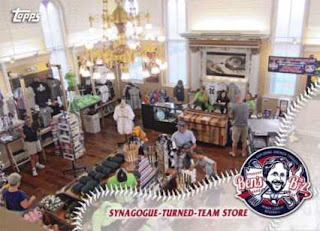 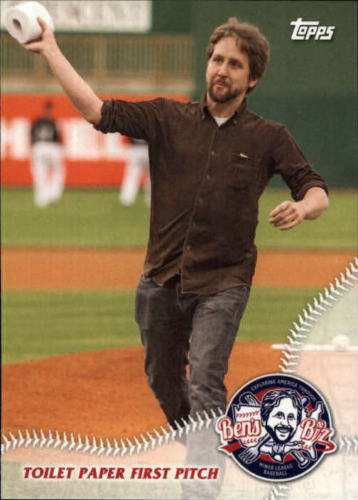 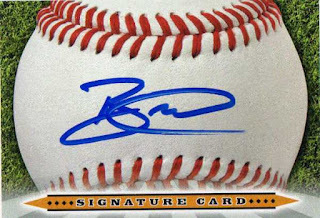 Through the eyes of a baseball writer who travels around the country, stopping at minor league outposts to chronicle the goofy promotions and nuances of different minor league teams - I see where the cards help flesh out a mainstream minor league card set besides just focusing on individual players. 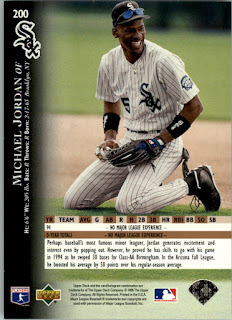 Jordan is the iconic professional athlete of my time and while his dalliance with professional baseball seemed to be a novelty - Upper Deck tried to ensure a little crossover appeal [not that he needed it] for the sporting icon, inserting an MJ batting practice card [SP1] into 1991 Upper Deck packs. 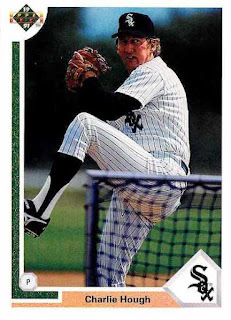 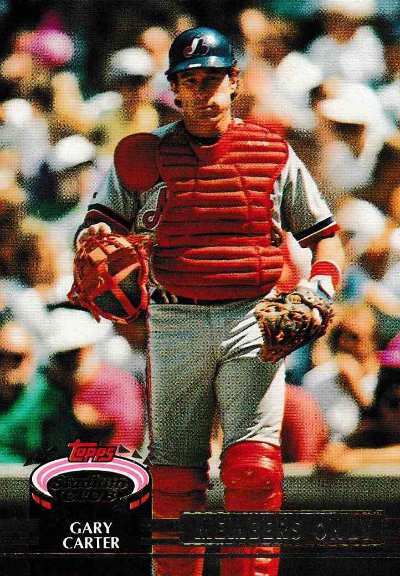 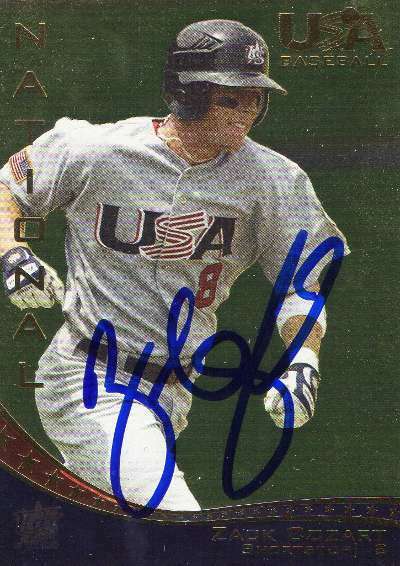 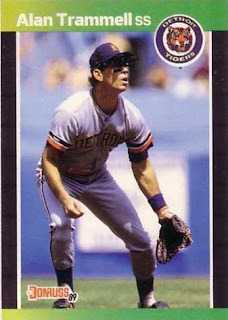 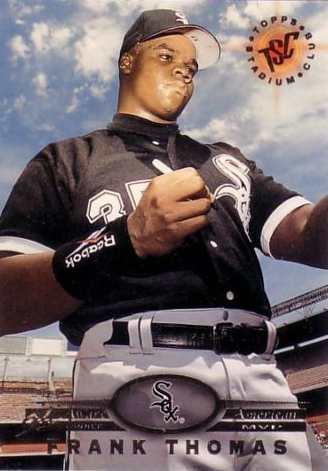 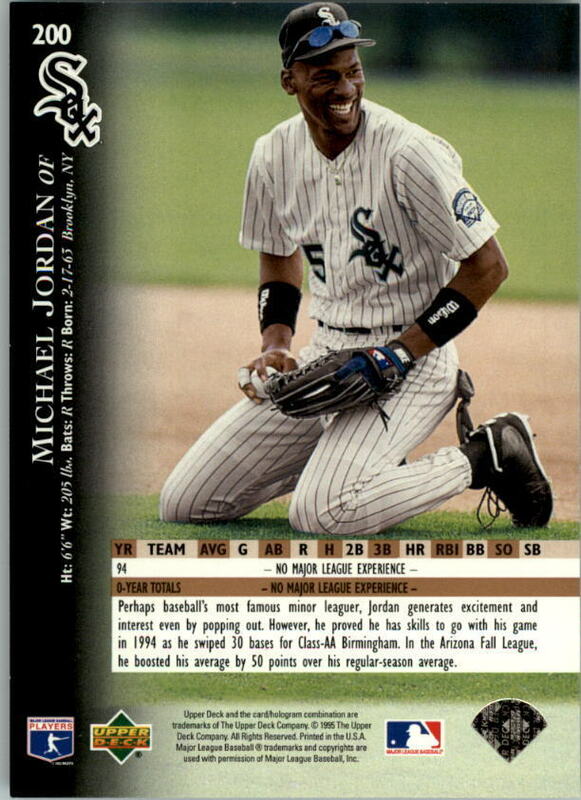 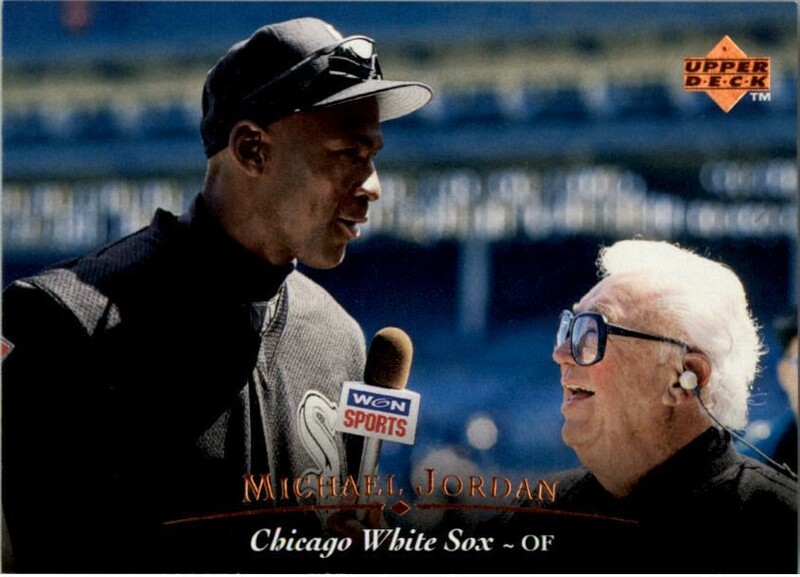 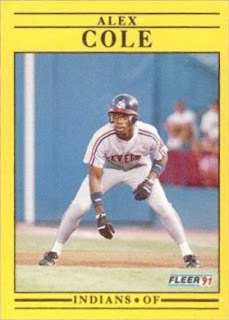 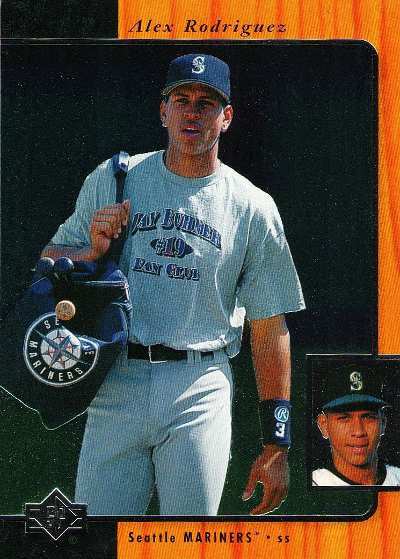 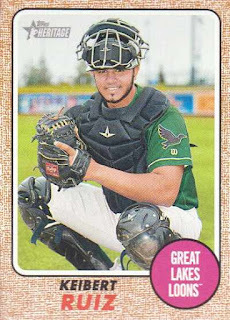 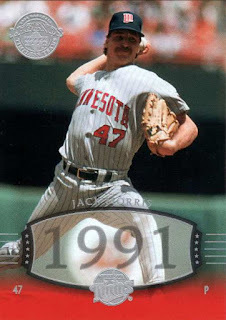 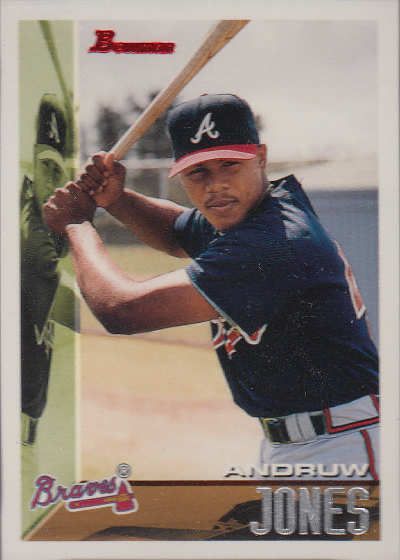 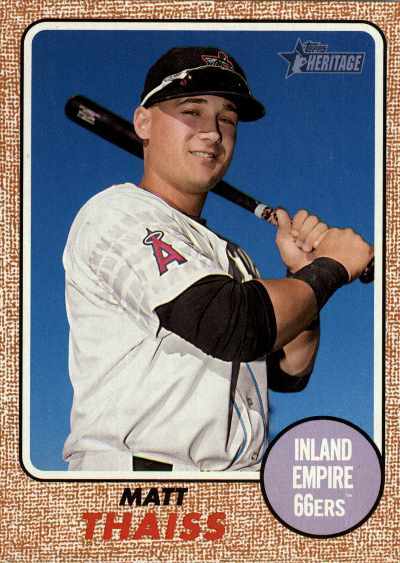 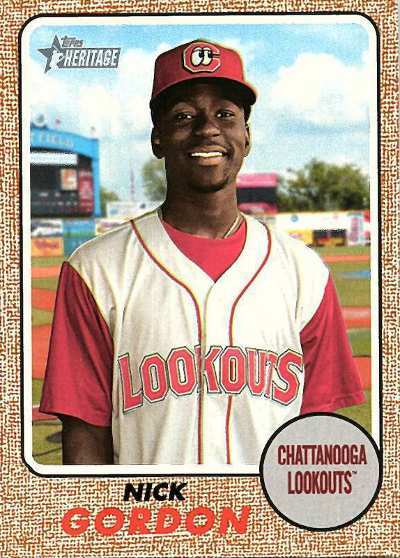 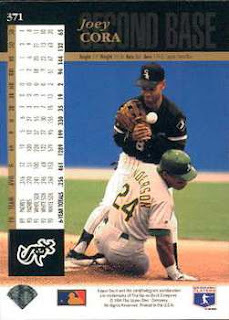 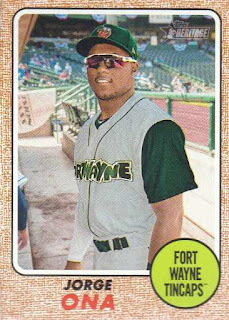 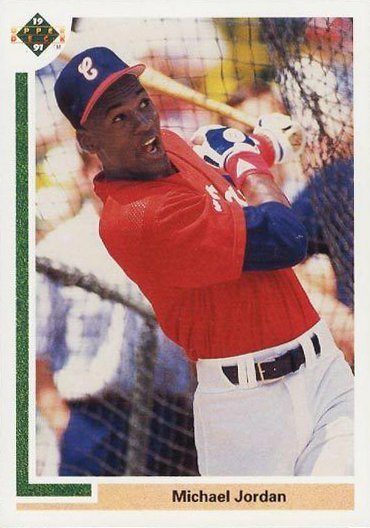 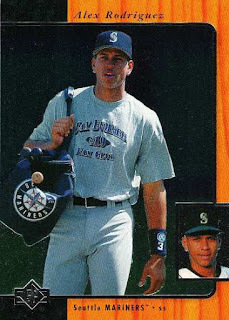 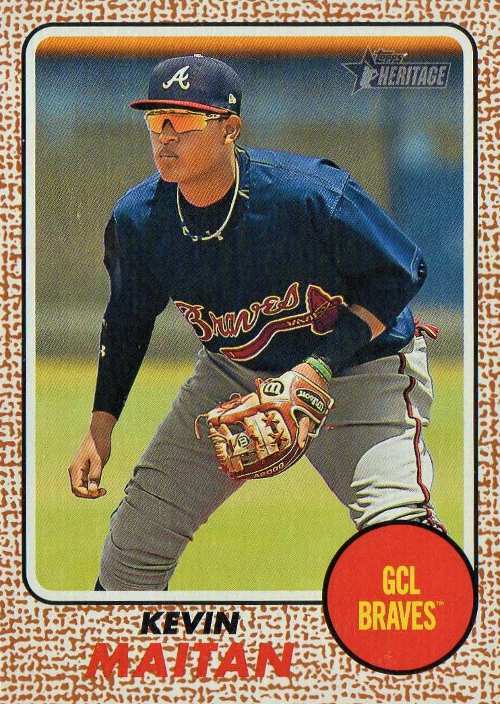 Jordan would step away from the NBA to play one season of minor league baseball in 1994 and while there were other licensed Jordan minor league cards - his Upper Deck baseball cards always looked the best, even as the one time Chicago White Sox farmhand hit only .202 with 3 home runs in 436 official at-bats. 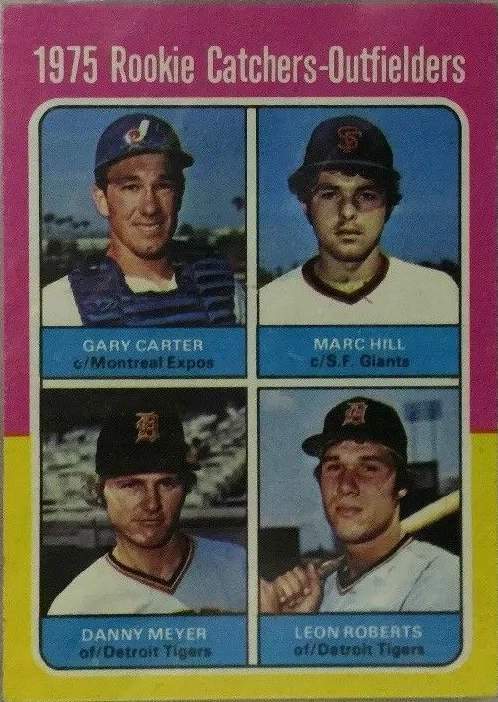 I had some time to rummage through an out of town card shop's '15 for $1' boxes - I'm not going through anything but loose nickel and dime cards, but I'd like to think 'the hunt' means different things to different collectors and there are still distinctions I keep in mind as build my piles of loose cardboard. Going through random monster boxes of cards can be a free for all and there maybe opportunities to be 'freelance' a bit more and grab completely random cards - that still end up fitting whatever criteria I have in my head as far as mini-collections. 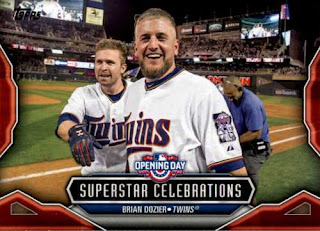 2016 Topps Opening Day Superstar Celebrations Brian Dozier #SC-11 - more like Glen Perkins’ card with Dozier in the background. 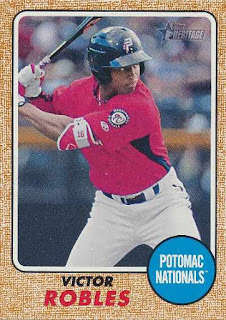 2016 Topps Stadium Club Willie McCovey #18 - I have this card among my collection of other McCovey cards, but I can add this particular copy to my awesome action collection. 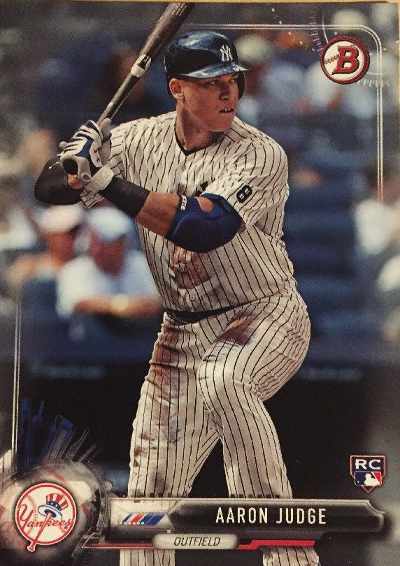 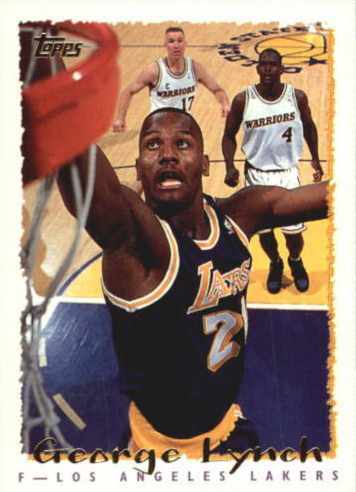 1998 Topps Kevin Polcovich #79 - this card features a cameo by Larry Walker and I thought I could add it to my 'bonus babies' mini-collection, but I had a copy of it already. 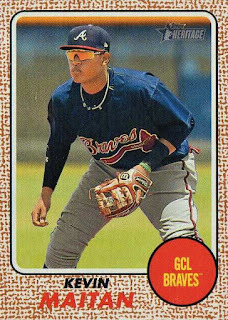 1991 Topps Stadium Club Sammy Sosa #6 - a whimsy, more innocent Sosa wearing a throwback uniform; I had this card in my 'retro uniforms' mini-collection already, so this goes into my awesome action mini-collection.